Mumbai: Faced with slowing demand—largely driven by high interest costs and scarcity of finance—auto makers have begun subsidizing financiers to reduce customers’ cost of finance. The manufacturers hope such interest subsidies, or subventions—in tandem with aggressive discounts—will stoke demand, although these would impact profit margins. Subventions amounting to 3-5% discounts are expected to reduce the effective rate of interest on vehicle financing, which has gone up to between 13% and 18%, against a low of 9% in the beginning of 2007. While this may help them in reducing inventories to an extent, it will adversely impact Ebitda, analysts say. Ebitda, or earnings before interest, tax, depreciation and amortization, is a key measure of profitability of operations in most businesses. They predict margins getting reduced by at least 1-2 percentage points, depending on the number of vehicles sold through subvention. Joseph George, an analyst with BNP Paribas Securities India, said that for a 3% subvention, assuming the loan amount as a proportion to the value of the asset is 60%, the impact on the Ebitda will be 200 basis points. One basis point is one-hundredth of a percentage point. Mahantesh Sabarad, an analyst with Centrum Broking Pvt. Ltd, forecasted that subventions could contract margins by 200-400 basis points, but would depend on not just the duration of the scheme but also the models that are part of it. “Typically, a manufacturer offers subvention on models that aren’t selling and not necessarily on the entire range. Hence, on a weighted average basis, it could only be 100-200 basis points. However, if the scheme is persisted with for a longer period, erosion on margins could be higher," he said. If auto makers chose to spread the impact of subvention over the loan period, typically three years, the impact could be lower, Sabarad added. 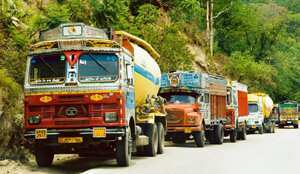 R. Sridhar, managing director, Shriram Transport Finance Co. Ltd, said while the industry has used subvention techniques several times in the past, the trend this time has picked up momentum from October. “It’s a common practice. Whenever they think sales are sluggish, they (auto makers) offer subvention. However, over the last three-six months, with industrial production having slowed down significantly, sales of the commercial vehicle makers have almost halved," he said. Sudhir Khanna, executive vice-president at Kotak Mahindra Prime Ltd, said he expects subvention schemes to spread among more auto makers. “While currently only Tata Motors Ltd and Ashok Leyland Ltd are offering the scheme, we expect several more doing the same in the forthcoming months," he said. While the trend is most pronounced among commercial vehicle and luxury car makers, even two-wheeler makers suffering sluggish sales are offering subsidies to financiers. Bajaj Auto Ltd announced in October a reduction in finance rate to 7.99% on its bikes across the country against the industry average of 18%. Bajaj Auto will decide on how long to keep the scheme open by the end of December. “The response so far has been encouraging and we would take a call after 30 days depending on the response," said Rajeev Jain, chief executive officer, Bajaj Auto Finance Ltd.
Bajaj is offering the scheme not just to its arm, Bajaj Finance, which finances 20% of the company’s bikes, but also to financiers Shriram Transport Finance and HDFC Bank Ltd, among others.